If the roof on your home is leaking or there is visible signs that there are problems with the roof you’ll need to hire a roofing contractor in Ann Arbor Michigan to come to your home and make repairs. In some situations you may actually need a completely new roof installed on your home. In either case, it’s always best to use a professional contractor to make roof repairs or to install a new roof on your home. Finding the right contractor for your project will mean you’ll need some answers from them. Here are 5 questions that you should ask any roofing contractor you plan on hiring to repair or replace your roof in Ann Arbor Michigan. 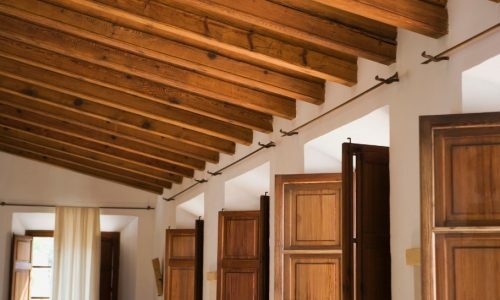 There are many home improvement projects that can add value to your home and make it better. These improvements are usually done at a time of the home owners choosing and is not a necessity. However, with a roof project, time is not usually on your side and getting the roof repaired as quickly as possible is important. However, you’ll want to consider that you want to have the roofing project done correctly so you don’t need to repair the roof again in just a short time. 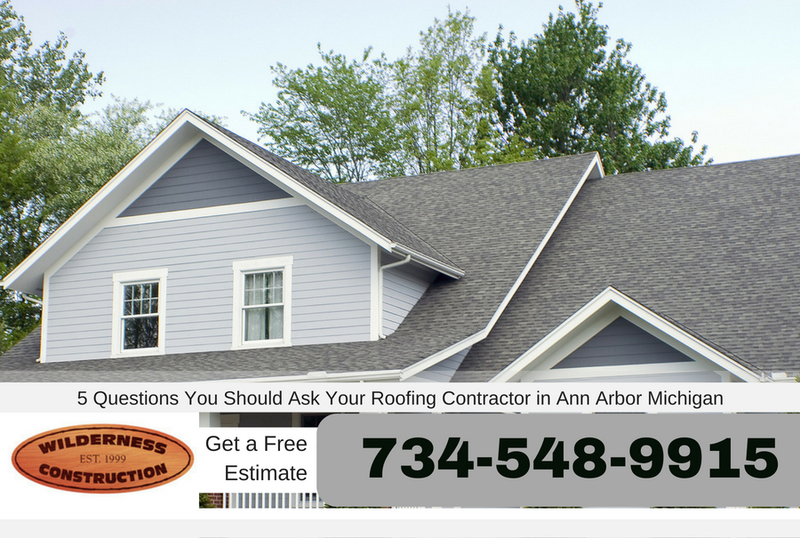 Asking these questions can help ensure you get the best roofing service in Ann Arbor Michigan possible for your home improvement project. Is There a Warranty on the New Roof? There are several roofing manufacturers that offer warranties on a new roof that is installed. GAF and Owens Corning are two of the largest roofing material manufacturers in North America and offer great warranties on the roofing products they sell. Make sure you inquire with the roofing contractor about the warranty information on the roofing that is installed. 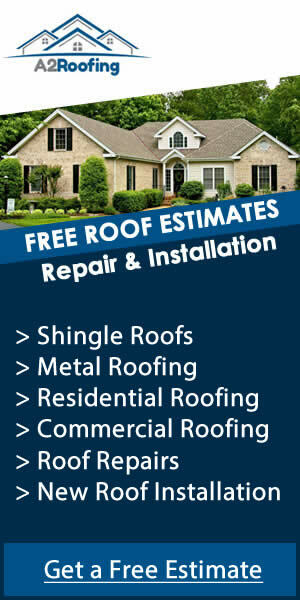 Most roofing warranties last 15 to 35 years and will have conditions for those warranties. 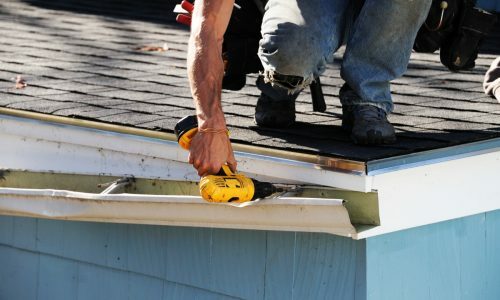 Some roofing contractors in Ann Arbor Michigan will also give guarantees on other services such as gutters or ventilation. 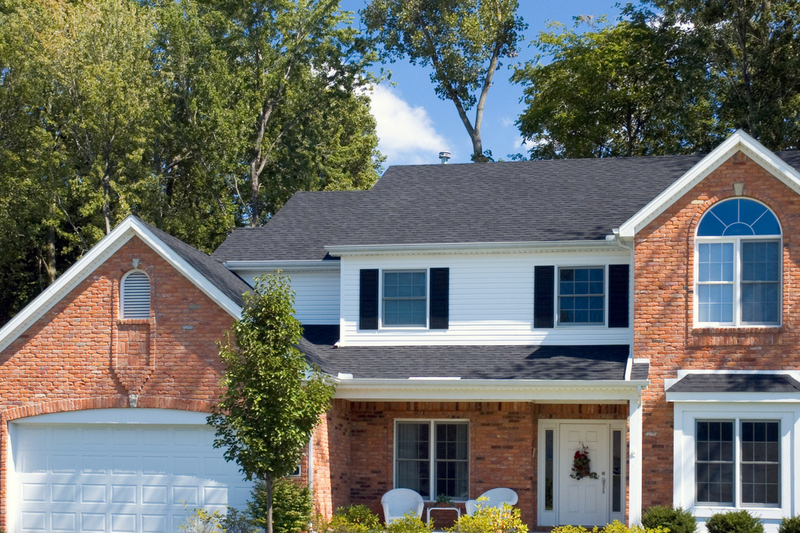 Will You Re-roof the Home or Shovel the Old Roof? There are two ways that a roof can be installed on your home. The first is called re-roofing and it’s basically an economical way to install a new roof. Re-roofing a home is basically just installing a new layer of asphalt shingles on top of the home’s existing roof. Since the old roof is left in place, it’s much cheaper than the alternative method which is known as shoveling off the roof. During this method the old roofing material is removed, the roof decking is inspected and repaired, and then a new roof is added to the home. Shovel off roofing has many advantages over re-roofing but is more expensive to have done because of increased labor needed for the roofing project. It’s great to have a trustworthy roofing contractor in Ann Arbor Michigan to work on your roofing project for you. However, making sure you have everything in writing can clear up any problems is something happens. Making sure a contractor provides a contractor for the project is very important and although it may not be needed it’s always best to have a contract for the project. Are You Fully Qualified and Experienced? Hiring a roofing contractor who is not properly qualified can leave your roofing warranty void. 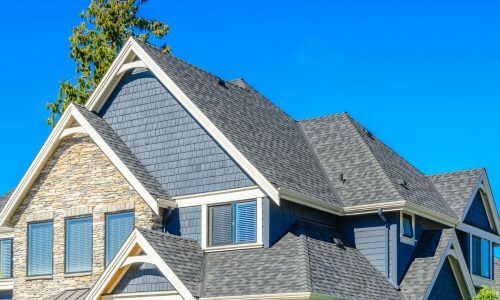 There are certain guidelines that will need to be followed when installing a new roof on your home and if they are not followed it could mean the roof is not covered by a warranty. Making sure your roofing contractor is fully qualified and has a lot of experience is key to making sure the roof is installed correctly. Getting a price quote on your roofing project in Ann Arbor Michigan is important. Not getting the details of the project in writing and leaving the project open ended is a very bad idea. Get a qualified roofing contractor in Ann Arbor Michigan such as A2 Roofing to give you a free estimate on your roofing project.